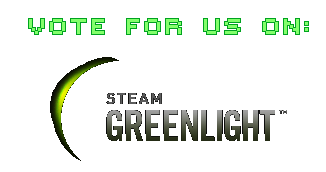 Wakeskater Studio Indie Game Development: SBX: Invasion is now in the Greenlight Process! - Update 1.2 is out too! SBX: Invasion is now in the Greenlight Process! - Update 1.2 is out too! Also Update 1.2 is now out at Desura, IndieGameStand and will soon be out at FireflowerGames. What's new in Update 1.2? New Movement system: The player will no longer bounce off walls and reverse direction and the movement system feels a little more slippery like you are in space. Upgraded UI and Planet Graphics: The planets look a lot nicer now, I ran a Posterization filter over them to bring them in line with the games graphical quality and then added a glow effect. Updated Tutorial: The tutorial is a bit longer but the game lets you go free a bit sooner. There a little less tutorial stuff after the tutorial, but more is included at the start. Optional Tutorial: The tutorial is now optional to new players as well. New Loading Screen: The loading screen now says "Loading" and also gives a little tip about using Ghost Mode. New Voice Overs! My lovely wife voiced the entire monologue by AIUA in the game. Instead of a computer rendered voice, my wife tried to stay monotone enough that the computer filters would work. It was a pretty fun experience and we had to stop ourselves from laughing on a few occasions. Minor QOL Improvements across the board: You can now use arrow keys to move between levels in any way, before it was locked for some weird reason that I can't remember. It's better now. And there is ALSO a new DEMO at IndieDB that you can play to try out all the changes! Over the next few weeks I'll be doing some advertising and I'm really hoping we can get Greenlit as that would be a phenomenal boost! I'll also be working on my NEXT project a little bit this month so stay tuned. First Look at Tzarr - Global Game Jam 2014!